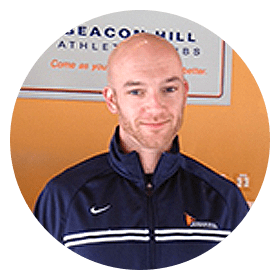 Justin is a certified personal trainer as well as a certified TPI trainer. What is a TPI trainer, you ask? The Titleist Performance Institute is the mecca of performance enhancement training for the sport of golf. TPI training specifically targets physical imbalances and fitness training as it relates to one’s golf swing. A TPI coach will analyze your swing using a 16-point assessment with the understanding that the most efficient swing is not the same for each golfer because efficiency is unique to each body. The first step to achieving an efficient swing is to assess swing mechanics, biomechanics, physical fitness, movement quality, current health and past medical history. Who wouldn’t want to become more flexible or drive the ball 10 to 15 yards further? If you’re a serious golfer and you haven’t consulted a TPI trainer…..well, then you’re really not a serious golfer.